FIU sent ten students to Chicago the weekend of April 21-24 and won 'Best Small Delegation'. This is the first time FIUMUN has won a delegation award at ChoMUN. ChoMUN is a 'Crisis Conference', meaning the committees there are fast-paced and cover a wide range of topics. This award is a testament to the hard work of our students and faculty. Congratulations to everyone who helped make this possible! 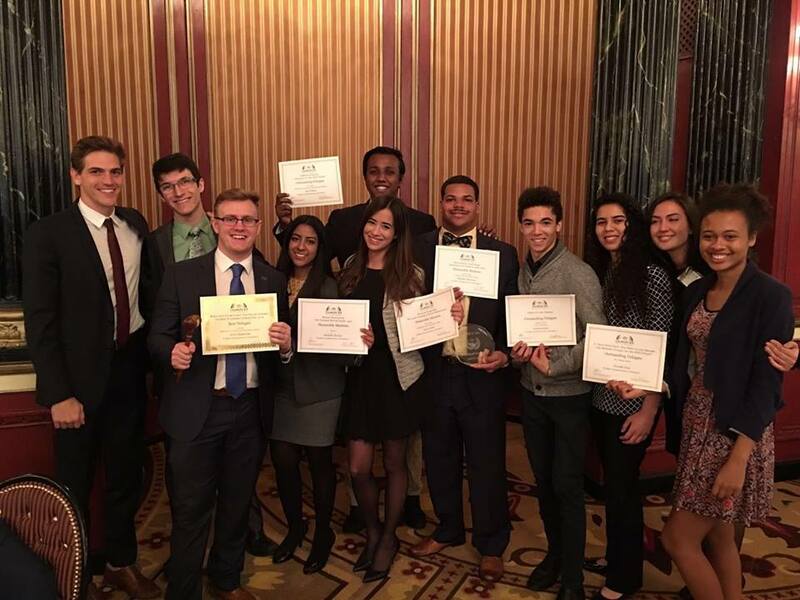 Below From left to Right: Program Director Ethan Roberts, Head Delegate Michael Carabello, Kevin Markowski, Michelle Rosario, Syed Adnan, Head Delegate Jessica Brito, Graduating senior Christopher Cummins holding the Best Small Delegation Award, Lucius Jackson, Eshrat Nikrooye-Asli, Emely Pietri and Dorothy Peck.